This Circuit review is one that I specifically requested from Novation. I was quite interested in the idea of a portable groove box that held one of my favorite synth engines in a battery controlled, forward thinking design. I was concerned about the macro control layout as I wasn’t quite sure what to make of the layout. I came away from my time with the circuit gaining a new appreciation for this different take on a portable synth. Instead of focusing on specifics like ADSR settings or complex oscillator set ups, This groove box opts to give you macros that can control 4 parameters on any given patch. While this might be a bit confusing, it also serves as the pathway to inspiration and discovery of new unexpected sounds. This is where Circuit can come into its own… The sequencer is a bit on the basic side being only 16 steps but it does allow for independent note lengths and pattern chaining. You can launch patterns in a similar way to the ableton live clip launching method. Speaking of Ableton Live, a copy is included free with Circuit and Circuit can be used as a controller for live. I found the over all build quality to be extremely good. The knobs feel VERY nice , smooth with decent resolution. the body didn’t creak or feel hollow and plasticy. The build felt so nice I let my 2 and a half year old son bash away on it with not so much as a scratch or a worry. I have to say he quite enjoyed it as well. I was skeptical of the layout but came away impressed with the build quality. The constant updates from novation is a very promising sign and the addition of sample import and “sample flip” is not to be over looked. the rigid 16 step sequencer resolution is probably my biggest gripe but for what this product is, its hardly a deal breaker. If you are looking for a groove box that you can confidently take with you on the go and is truly stand alone… this might be right up your alley. 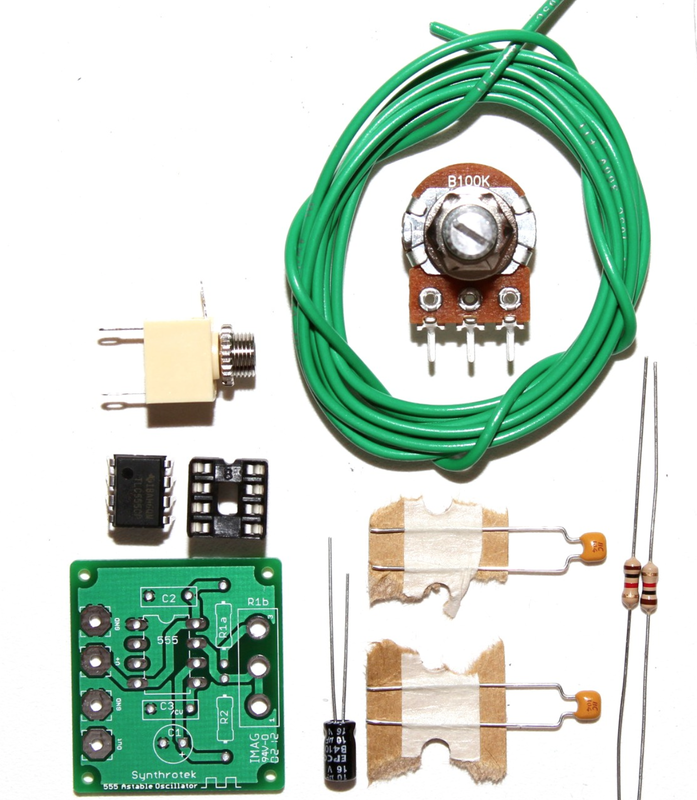 How to Synth DIY part 4 ANYONE can Build the 555 LFO! Yes thats right! 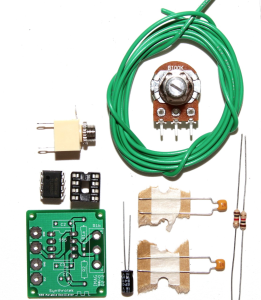 Anyone can build the 555 timer LFO… and to prove it, I let my 8 year old daughter do it! This was Elly’s first time soldering and she enjoyed it immensely (even with a minor mishap!) 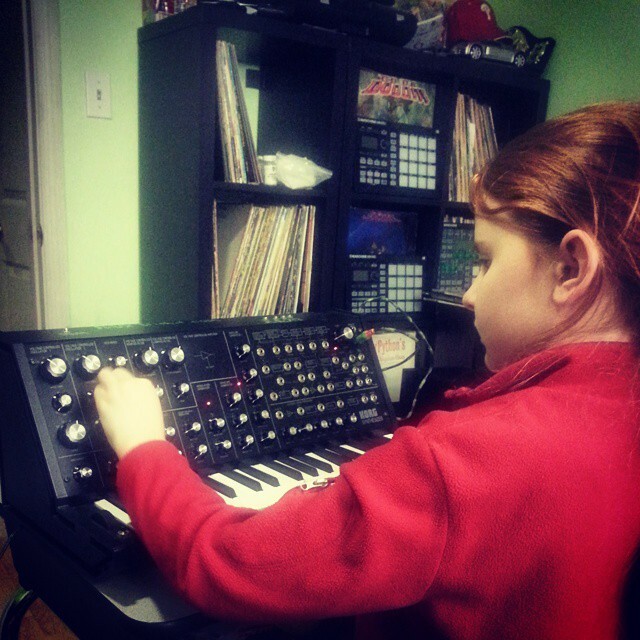 If she can jump on the Synth DIY horse, SO CAN YOU! the Idea is to use this to modulate the rate of the delay board. For this project, we won’t be hooking up power just yet as I plan on daisy chaining the power off of another circuit first. we also will not solder on the attenuator just yet as we will be using wire so that we can place the board more efficiently inside of the case. You can buy the 555 Timer LFO HERE—> Synthrotek Store it’s only $15.